The spicy (and photogenic) 'Leaf Heading' mustard was one of 13 varieties grown by ADAPT program participants. The year 2017 proved a success for Seed Savers Exchange’s new Citizen Science Corps (CSC), a revamp of the Member-Grower Evaluation Network. Myriad SSE members answered the call to participate in one (or more) of the CSC programs—ADAPT, SHARE, and RENEW. Participants in the ADAPT program explored how varieties in the Seed Savers Exchange collection grow in different regions of North America, while those in the SHARE program gave more in-depth analysis of varieties in our collection. RENEW participants helped the organization regenerate seed shared with members. In 2017, the ADAPT program drew 56 participants from 28 states and Canada; these members grew 13 varieties from the Seed Savers Exchange collection and reported back vital information on vigor, yield, and eating qualities using an online survey. They also gave each variety they grew an overall score. Some 79 percent of participants reported they would recommend the varieties they grew to other gardeners, while 80 percent responded that they would regrow the varieties they cultivated. Following are insights into eight of the varieties grown by Seed Savers Exchange members through ADAPT in the program's first year. All the varieties are available through the Exchange. Twenty participants tended this basil, making it the most popular variety grown in the 2017 ADAPT program. The majority of growers loved its aroma and taste. One grower reported that it had more flavor than commercial varieties, and another mentioned that it was the best-tasting basil the member had ever consumed. However, the variety seemed to be more prone to disease, especially in wet conditions, and one grower noted that it required a bit more “babying” than other basil varieties. Another grower said that despite the issues with its vigor and health, the basil had attractive culinary properties that merited growing it again. Geographic location was a key factor in determining when this variety thrived. One Tennessee gardener reported that ‘Blue Bloom’ was a good early bush bean, while another in New Mexico said this bean variety took longer to bear fruit than the other bush beans grown in 2017. Many who cultivated it noted that ‘Blue Bloom’ was an excellent snap bean (eaten fresh or used for canning), both crisp and delicious. (The variety, however, does have strings.) One gardener mentioned this variety was good for smaller spaces as the plants are compact, while another noted that it required more water than other beans planted in raised beds. 'Bronze Arrow' lettuce thrived in the garden of Cathryn Thomas, SSE member and ADAPT participant. 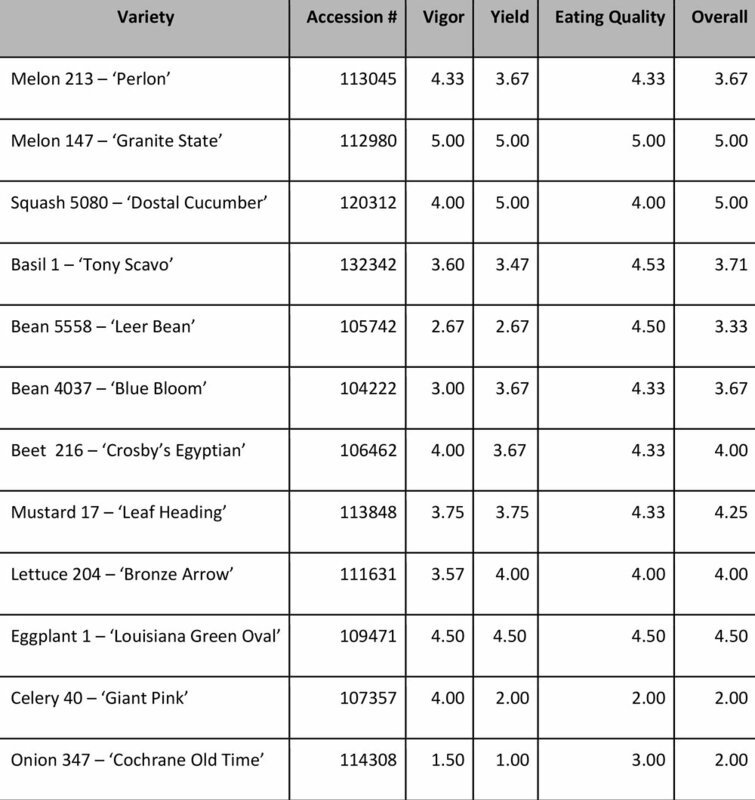 Several growers mentioned that this variety was not as vigorous as other varieties, and some experienced germination issues. 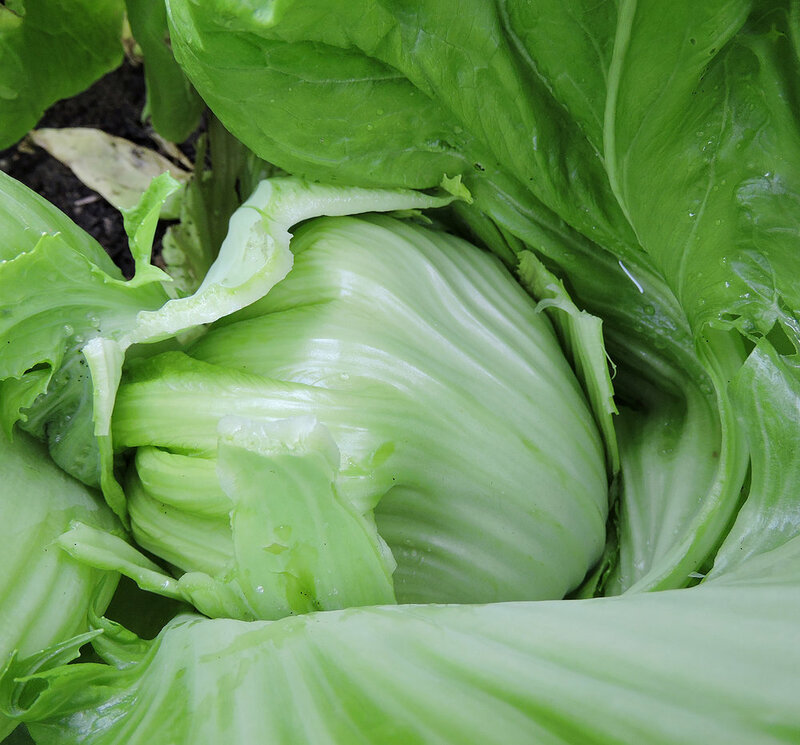 Many participants, however, enjoyed growing this variety, as its bronze color and arrow-shaped leaves stood out in comparison to other lettuce varieties. ‘Bronze Arrow’ also received high marks for taste—many who grew it said the leaves were delicious, with a flavor that was not bitter and even somewhat sweet. One of my favorite varieties in the Seed Savers Exchange collection, this mustard is fun as a fall crop and sweetens up after a frost. As the name suggests, it forms a big head of tightly curled leaves just like a crisphead lettuce. However, it is rather spicy. One grower mentioned that it was good eaten both raw and cooked—and had leaves that were not as bitter as expected upon maturity. Another gardener described its texture as tender. A Montana-based participant who noted that the mustard bolted before transplanting would like to try direct-seeding it. A grower in California (zone 7a) mentioned that while most brassica crops do not thrive in that area due to widespread temperature fluctuations, ‘Leaf Heading’ mustard grew quite well. One of my favorite melons from SSE’s 2016 evaluation trials, ‘Granite State’ was a natural fit for the ADAPT program. The melon is on the smaller side, but we noticed great yields at Heritage Farm. The few gardeners who grew this for the ADAPT program all also said it was an excellent yielder, though one mentioned that it was susceptible to vine borers. (Thankfully, their ducks took care of the borers.) Participants described the melon as very sweet-tasting with excellent melon flavor. One gardener liked it enough to save seeds for next year! 'Giant Pink' celery, shown in the garden of SSE member (and ADAPT participant) Daniel Brisebois. This is not your typical store-bought celery. Pink or red celery varieties tend to be rather strong-flavored (like black licorice) and a bit more fibrous. ‘Giant Pink’ celery is no exception. The gardeners who grew this variety all noted that it was rather fibrous and had small stems. Some really liked the strong flavor, especially added to soups and stews; others said it was not their favorite. As the ‘Bolivian Rainbow’ pepper demonstrated, not all trials are successful. The Seed Savers Exchange evaluation team loves the taste of this Wisconsin heirloom onion but have had members and customers ask about the variety’s performance. Specifically, those who have grown it recently have had issues with vigor, yield, and the sudden die-off of seedlings. The ADAPT participants who grew ‘Cochrane Old Time’ also experienced these issues. Perplexed, we re-tested the seeds at Heritage Farm (our headquarters) to make sure that germination was still acceptable. Expecting poor results, we were pleasantly surprised to see a germination rate of 90 percent. The SSE evaluation team will grow this variety again to make sure the seed stock is acceptable for others to grow. Thank you to all who took part in ADAPT and other Citizen Science Corps programs in 2017. If you are a member of Seed Savers Exchange and wish to participate in either the ADAPT or RENEW program in 2018—SHARE has been discontinued—please contact steffen@seedsavers.org. If you are not yet a member, the opportunity to take part in the vital work of the Citizen Science Corps is just one benefit you receive if you join!